I used to dream about what it would be like to be a digital nomad. Just me, my laptop and a turquoise stretch of ocean on either side. I’d think about what it would be like to work from a remote location that inspired my creativity and not just a desk where I’m accounted for between 9-5. How much more I could be getting done! I thought the flexibility of a freelance lifestyle would allow me the time I needed to further build my personal brand and get noticed by brands and influencers. With more time I could make it happen faster! I’d fantasize about how many projects I could take on. Going from a set income level to being able to charge for projects or hourly work (cha-ching, amiright?!). Which meant that in no time, all the projects I’d be getting paid to do would totally outweigh my full time salary. Every aspect of freelance work was attractive to me – freedom to take time off when I wanted to, to travel, to get to the gym more, to not have a commute to/from an office, to cook all my own meals, to work from home wearing comfy clothes and also be productive at life tossing in a quick load of laundry, and the ability to get paid more. It all sounded like a dream. Until it became my reality. Unlike most freelancers who quit their full-time job to pursue freelancing, I became a freelancer out of necessity. When your employer comes to you one day and says, “thank you but we no longer need your services.” What do you do? For me, at the time, I did the only thing I knew how to do; I put my hard skills in SEO and online marketing to work as a consultant. When it happened again this year, I did the same thing. Only this time, I’m a little bit wiser. I want to share what I know about the reality of being self-employed; what it really takes to build a consulting business from scratch. I also want to dispel the narrative on social media about freelancing which makes it look like you can be running your amazing, solopreneur business from your laptop on a beach in Bali. My hope is to impart the reality of what you’re getting into if you’re considering following in the (sandy) footsteps of seemingly countless freelancers out there who are (at least visually) crushing it today. At the very least, I can share my wisdom to help you navigate this type of career path and the tools I’ve picked up along the way that will jumpstart your process. In case you haven’t noticed the pattern in these Sponsored posts, the social media scene on Facebook and Instagram is rife with posts advertising how to become a lifestyle blogger /writer or digital nomad. I’m not here to stomp all over your interests and passions, just don’t be fooled: there is no quick fix. It’s 2018, don’t be naive. There is no pill to take, no class to attend, no online workshop that can magically fast track you through the growth process of finding a profitable niche, building your brand, learning how to market yourself, and developing effective, repeatable methods for getting leads and prospecting clients. That’s the plus side of what the freelance lifestyle affords you. Yes, you have way more freedom and flexibility in your schedule to travel but, funding will invariably become a factor. If, for example, you plan to be jet setting around the world living that laptop lifestyle, you’d better be ready to be frugal with your finances and spend like a student on a semester abroad. Yes, you are literally in charge of how much you can make. Every business needs to spend money to make money. But while full-time employees are reimbursed by their company, as someone who is self-employed, when you spend money, don’t expect a reimbursement check coming back to you in the mail. No doubt the more glamorized version you see online makes it even more appealing. So, I thought it would be fun to paint a more realistic picture of the freelance life that I feel isn’t accurately being portrayed on social media. Myth: You think working from home means taking it poolside. Reality: Have you ever been able to actually see your laptop screen in direct sunlight? Also, where do you plug in? Myth: You think being your own boss means you can spend the day as you please. Better yet, you’re such a boss you can multitask working on your laptop AND fit in gym time! Myth (con.t): You think building your brand online is tied to becoming Insta famous by posting selfies while crushing it and hashtagging: #bosslife #gymlife #laptopgamestrong #livingthedream. Reality check: who does this?! Myth: You’ll think Wi-Fi everywhere and a Starbucks on every corner are you new BFF’s for productivity. Reality check: Public wi-fi is not the most secure. Plan on using coffee shops for breaks and writing not checking in on your client’s analytics data — you can’t know what someone would do if they happened to see your unsecured files on their device. The only friendly is the guy reading a newspaper! Myth: Your freelance work from anywhere job means now you have the freedom and flexibility to jet set around the globe. Just you and your laptop! Reality check: Most of the jet-setting freelancers are single and have an on-the-go lifestyle anyway. It’s highly unlikely your spouse and/or kids’ schedules will allow them to also pick up and go. But, being able to dictate your own schedule does allow you to be available for your kids or work around a spouse’s tricky hours. Myth: You’ll think after Googling “freelance writing jobs how to make money” and trying it out, you can make six figures in your first year. Reality check: this is the most dangerous association made about freelancing. Yes, freelance work is the type of job where you can create additional revenue streams. But it takes work, self discipline, processes and tools. Remember when you were a little kid and you learned milk comes from cows and not the carton in the refrigerator? Becoming a freelancer is a lot like that. Let me make a slight distinction between freelancing and working from home (WFH). In this case, the former refers to being an entrepreneur where you market your skills and services, close business, fulfill projects, and repeat the cycle anew. The latter could mean you have a particular set of skills that is conducive to operating out of your home (i.e. writer) and are employed full time with the ability to work remotely (i.e. from home). Deciding to quit your day job and becoming a solopreneur because you want the benefits of a freelance lifestyle is inherently risky. If you don’t know what’s involved, there is a better way to dip your toe into the water. There are certain types of jobs that afford you the ability to work from home. But there’s a big difference between being employed and getting to WFH and WFH as as a freelancer. 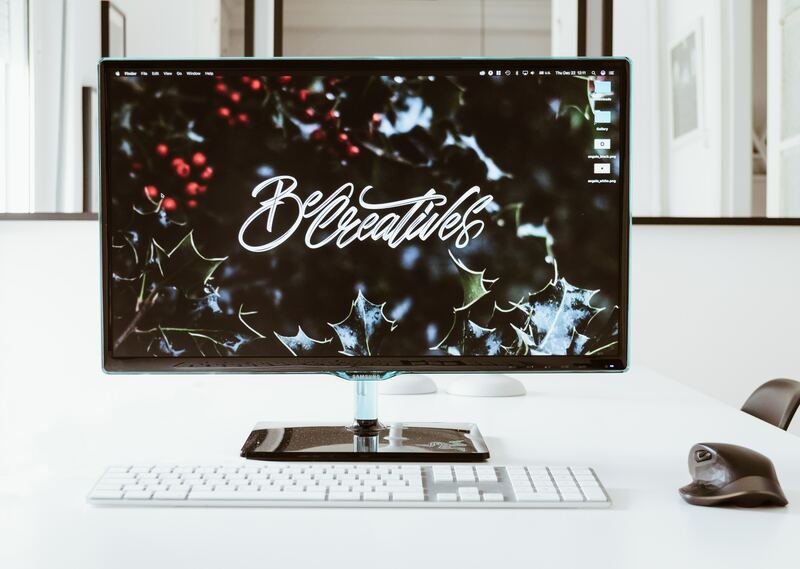 If you simply want to work from home, here’s a helpful list of 50 Work-From-Home Jobs Paying as Much or a Lot More Than the Average American Salary by my friend and entrepreneur, John Rampton. Similarly, he is someone who can attest to a handful of disadvantages of freelance work. From my perspective, I’m documenting what I’m finding to be the realities of freelance life. Anyone who tells you all about their glamorous lifestyle as a remote worker who freelances could use your unwavering stare as you await their honest answer. It’s unfortunate that the corporate workplace gets painted as a cubicle prison, and freelance is the paradigm of freedom. A lifestyle with work-life balance that we all aspire to (I mean, it even has the word “free” built into the word). The truth is anyone can freelance. The reality is not everyone can thrive doing it. You should never quit your full time day job if the income from your side hustle doesn’t cover your basic monthly expenses, and don’t forget about insurance and benifits. Re-read that sentence if you need to. Use the time to build up your side hustle before you leave an existing income. Become really self aware of your strengths as a sole proprietor that contribute to growing your business and brand. And recognize what you should outsource. For a while I thought my day job ate into the hours I could be spending investing in my side business. What I now realize is that you can always learn something from your exposure to any business. A day job in the industry you want to be in gives you context, contacts, and experience. It’s easy to zone out and get comfortable at a 9-5. But what most people don’t realize about freelance work is that it will become your job to push yourself and motivate yourself and to time manage yourself accordingly. Business doesn’t just come rolling in if you don’t know how to do outreach and identify and pitch prospects. Projects don’t just get done if you don’t prioritize your time and do the work to deliver it on time. And, fun fact: you’re the one responsible for making sure you get paid! The reality, is you have to manage yourself. When you work for someone else, you don’t have to think about or do all of the other things that come with running a business. But, when you run the show, you must learn to discipline yourself in prioritizing your tasks and time. What’s more, you must be frugal with your spending. Since month-to-month will be feast or famine, if you want to survive you’d better be a saver not a spender (somebody put that on a T-shirt!). Getting leads is an ongoing process and it’s largely about tapping into your network. Becoming profitable means creating a sustainable referral-based business. You’re going to have to figure out what to charge (hourly and project rates), and why. You have to be able to clearly articulate what you do, what value you bring, what problem you solve and why someone should hire you. If you market yourself online you’re going to want to set up a blog, landing page or website to capture leads and talk about your services. Healthcare for self-employed: If you can get onto your spouse’s plan, it’s worth looking into. Otherwise, I learned about eHealth insurance that can provide plans for individuals or small businesses with at least one employee. The catch is that you have to wait for the open enrollment period (which begins in November). Taxes: How much do I need to set aside? When should I pay taxes on freelance projects? The answer is, it depends. The best advice I can offer you is to get a tax guy (I’m happy to refer you to mine) who can accurately advise you on when and how much you’ll need to set aside for taxes. I’ve heard paying taxes on your freelance income quarterly is helpful. Pro tip: Have a blank W2 form handy to be able to sign, scan and send to new clients so you can invoice them as an independent contractor. Online business legalities: Whats the “legal side” of what you need to know about an online business? This is a seemingly daunting topic which I’ve been slowly reading up on. I came across a great resource by Christy Westerfeld. Start by reading her post on uncomplicating legal here. Focusing on doing more of “the right things” daily that grow your business and prospects is invaluable. Specifically, spending two hours a day networking to build your pipeline. Also, set up systems to stay accountable doing things like attending networking events, creating content with an influencer, asking for a referral, and doing work that builds your portfolio. Develop templates for repeatable paperwork like proposals, SOW’s (scope of work), invoices, etc. Organize your network in three groups: Prospects, Mentors, Peers. Execute your outreach in that order. Don’t give up your gym membership. You’ll need an outlet and a supportive community to help you maintain perspective through the ups and downs of being your own boss. He’s one of the best out there for practical, actionable steps towards building a profitable side business. What’s more, Ryan is incredibly generous to others finding their way and has compiled and shared his best proposal templates for earning new business and converting leads into clients. Pro tip: His podcast The Side Hustle Project: How to Start A Side Hustle Today is loaded with great interviews and information. Credo connects businesses with vetted digital marketing providers. It’s ideal for companies that need SEO services and a lead resource for search engine optimization freelance professionals who want consistent work. Due provides seamless payment solutions for businesses of all sizes. The site also has products and informative resources like a Consulting Guide and Freelancer Guide to help others get started. If you’re not fired up and ready to attack the day after listening to Gary, I don’t know what else will do it for you. He talks entrepreneurship 24/7 — he even built his own search engine so you can get his thoughts and ideas on any topic. Ideal for people who’ve spent hours trying to make their digital marketing business work but are out of ideas for closing business and getting more clients. A fellow freelance marketer based in the UK who shared her own powerfully honest learnings about freelance. Last but definitely not least, Rand Fishkin. His book “Lost and Founder: A Painfully Honest Field Guide to the Startup World” is always within eyesight on my desk. Today, more than ever, jobs in the “professional services” industry are on the rise. It’s not surprising since the nature of freelance work is largely equated to having a more flexible schedule and the ability to work from home. The data definitely reflects this. It saddens me that freelance work isn’t a more viable option for more people. I believe it offers better flexibility for working parents. Especially those with the means to travel and take their children to see and experience new places. I believe there are people who are trustworthy and capable of working remotely who don’t need to be “visible” around the office in order to be productive. There are may positive aspects to freelance work but it’s important to understand that things like income and projects don’t just appear. It’s all about executing on the right advice. Execute on the right things for long enough, and you will be successful. These days, my definition of success as a freelancer is making an income that covers my rent and basic monthly expenses, making time for healthy meal prep along with daily fitness, and being home when my fiancé is also off work. The dream of leading a freelance lifestyle – and IMHO, all of it’s inaccuracies – is still incredibly attractive to many people. That being said, how you achieve financial success, grow your business, market your skills and services is where the real work will always need to be put in.